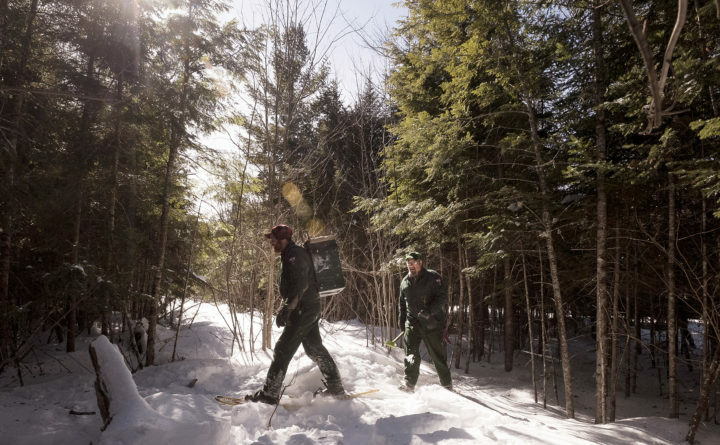 The Maine Department of Inland Fisheries & Wildlife bear team finishes a den visit in Edinburg in late February 2019. Good morning. Temperatures will be in the low-40s today throughout the state. 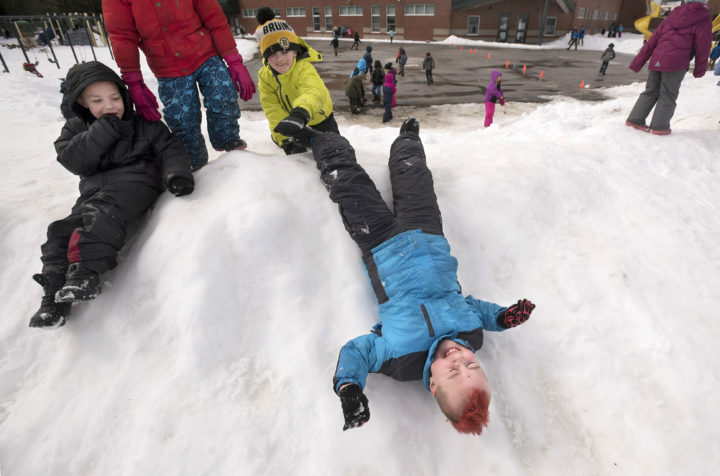 It’s a tricky decision for schools in Maine: cancel outdoor recess or don’t? Six-year-old Mason Gogan (center) and other first graders at the Old Town Elementary School play in the snow during outside recess Monday. –Elementary school principals in the Bangor area agree on the importance of recess and the benefits the outdoor, unstructured play periods hold for students. But most don’t let students go outside if the temperature feels like it’s below 10 degrees. The schools also don’t typically keep track of how many days of outdoor recess students lose to the cold weather. A UMaine researcher thinks it’s rarely too cold to cancel outdoor recess. And she thinks schools should keep track of when they cancel. –The state’s new transportation commissioner has launched a review process that could yield new rates for ferries to Maine islands. A flat-rate structure implemented last year prompted complaints from Islesboro residents who said it disrupted their lives and forced them to limit trips to the mainland. The Bangor Region YMCA Teen Center. –The YMCA has opened a center for teens that’s free and open from 2 to 6 p.m. every weekday and 11 a.m. to 4 p.m. on Saturdays. It includes a drop-in space on its first floor with couches, tables, board games and foosball. On the second floor is a meeting room with a small computer lab and a projector. 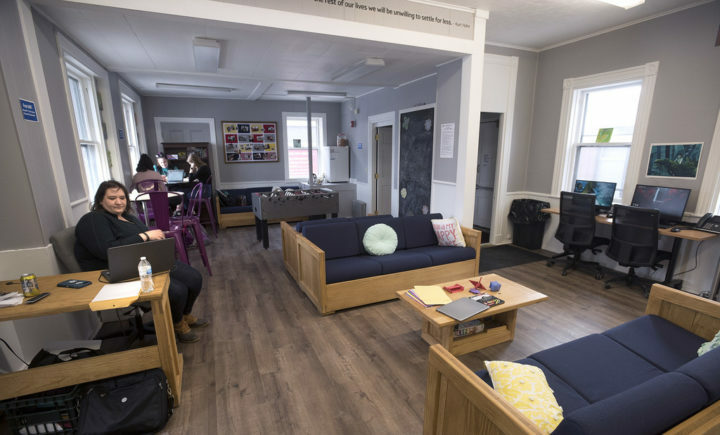 It fills a gap that existed in Bangor, where many teens had no place to spend the hours immediately after school let out. –The latest Navy budget requests pegs the cost of the first vessel in a new line of frigates at $1.3 billion. Bath Iron Works is teaming with a Spanish firm on a design for the new line of frigates. The shipyard has yet to say if it will bid on what could be a $15 billion contract to build the vessels. 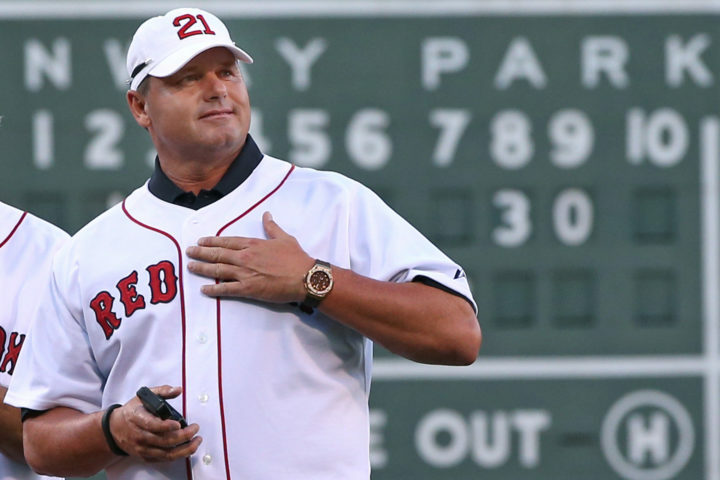 Former Boston Red Sox pitcher Roger Clemens pats his heart to cheering fans during a ceremony prior to a baseball game between the Red Sox and the Seattle Mariners at Fenway Park in Boston Tuesday, July 30, 2013. –Maine baseball fans will have a once-in-a-lifetime opportunity to chat with the former Boston Red Sox pitcher on Saturday. –Doctors in Maine have made the sharpest reductions in the country in the amount of fentanyl they prescribe. Fentanyl prescriptions from Maine physicians fell by almost 31 percent between 2016 and 2017. –Taft Point Preserve covers 68 acres of forestland on the coast of Gouldsboro, and features a network of trails that altogether total about 1.5 miles. 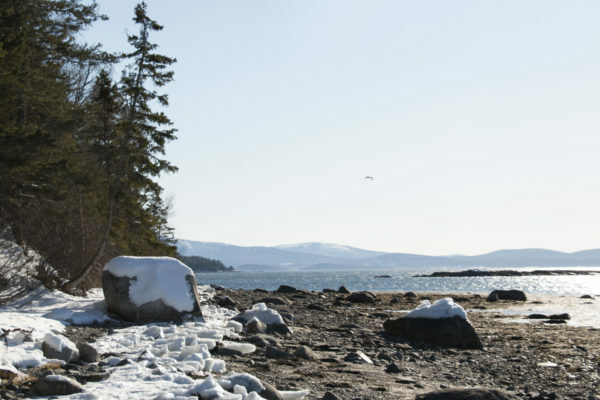 From the preserve’s rocky beaches, hikers are rewarded with views of the mountains of Acadia National Park on Mount Desert Island, as well Stave Island, Calf Island, Schieffelin Point and Schoodic Mountain.